40 Jahre iranisches Regime sind 40 Jahre Unterdrückung und Antisemitismus | DIG Aachen e. V.
Demonstration gegen das Mullahregime im Iran. In der österreichischen Tageszeitung „Der Standard“ ist von Stephan Grigat anlässlich von 40 Jahre „Islamische Republik“ der Gastkommentar „Die Iran-Politik der EU braucht eine Kehrtwende“ erschienen. Am 25. 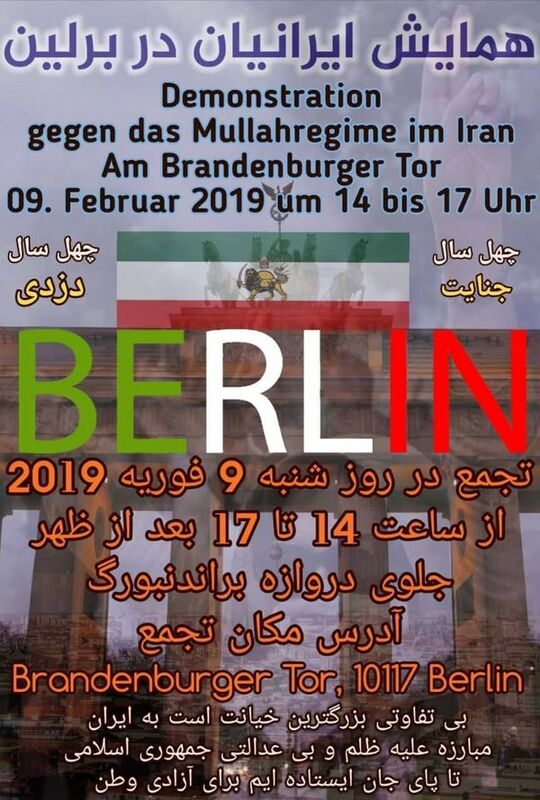 November 2018 haben Stephan Grigat von STOP THE BOMB, Michael Spaney vom Mideast Freedom Forum Berlin, Martin Patzelt von der CDU und Adel Fayzi von der Demokratischen Partei Kurdistan-Iran beim 5. Deutschen Israelkongress über das iranische Regime, die europäische Iran-Politik und die iranische Opposition diskutiert. Ein Video-Mitschnitt der Veranstaltung findet sich hier. On Feb. 1, 1979, Iran’s exiled Ayatollah Ruhollah Khomeini returned to Tehran. He led the Islamic revolution, and became the leader of the most repressive and antisemitic regimes of our time. For 40 years, repression and terror have reigned in Iran: persecution and execution of national and religious minorities, homosexuals, women, trade unionists and members of the opposition. For 40 years, there have been threats of extermination against Israel, which are now particularly threatening as Iranian units and Iran-controlled militias operate in Syria, on the border with Israel. Since the establishment of the Islamist regime, Iranians have fought against oppression. At the end of 2017, protests began in the northern Iranian city of Mashhad against price increases and have since spread to the whole country. The demonstrations against mismanagement and corruption very quickly turned political and protesters now fight against the Islamic Republic itself, against the terrorist expansion of the regime, against President Rohani and against religious leader Khamenei. Women are often at the forefront of the protests, including Vida Movahed, who took off her headscarf and waved it on a stick. The protests against the regime, against mismanagement and corruption, flared up again and again throughout the year and across Iran. These protests are hardly reported in Germany. The regime reacts with full force: Amnesty International reported more than 7,000 arrests, hundreds of floggings and 26 executions by protesters in 2018. At least 9 people died in custody. Demonstration against the mullah regime in Iran.